Well, today at the eve of Mother’s Day I was not so busy so I thought i would post one of my favorite breakfast. It is easy, yummy and quite healthy for you. It is very very easy to make and your children could fix those for Mother’s Day tomorrow as a dessert or part of brunch. Today i used strawberries but you could have used any type of fruit. Rinse the strawberries, and cut them in eighths. Place them in a bowl and set them aside. In another bowl, mix together the other ingredients ( Greek yogurt, sugar, cream, vanilla extract). 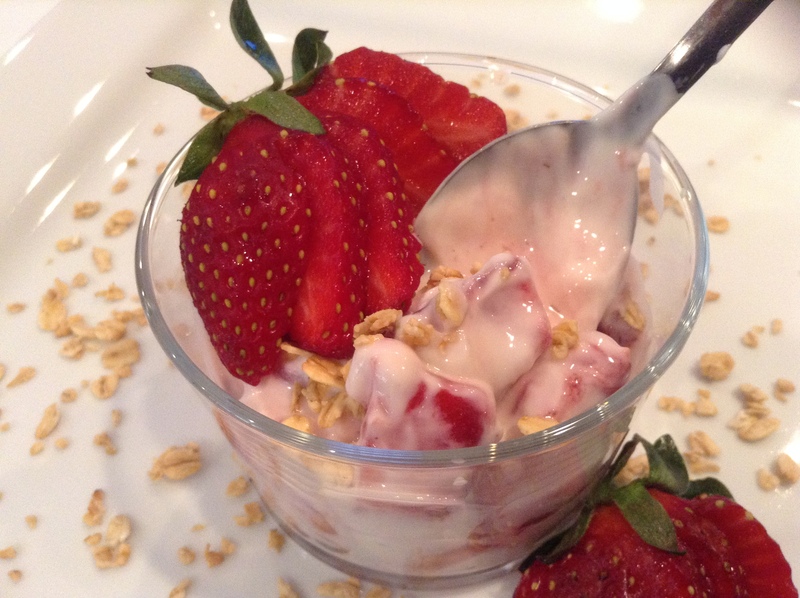 Mix the yogurt mixture into the diced strawberries. 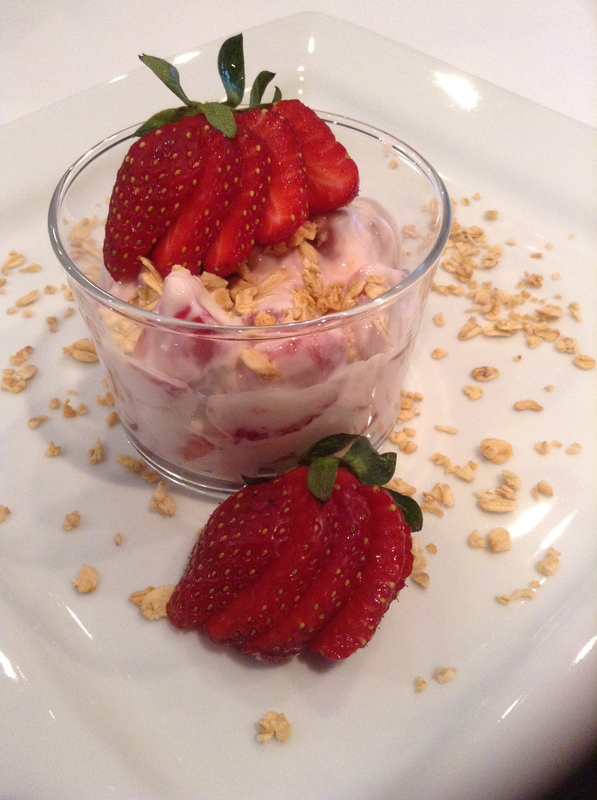 Divide the strawberry parfait equally into four cute clear containers. You could even use stem water glasses. 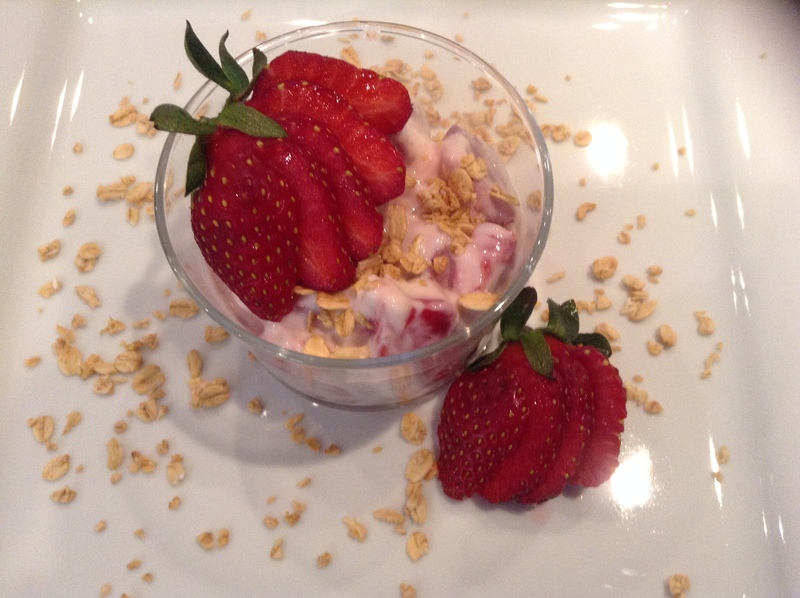 Sprinkle some granola on top of the parfait and place the fresh strawberry that you would have cut in a fan as decoration. Et voila!!! Simple, easy, yummy!! !